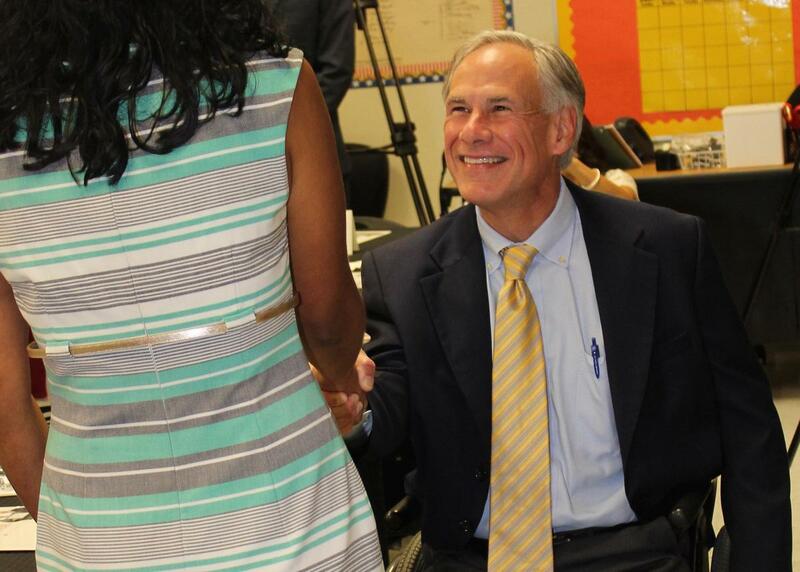 A week before school began, seven Comal ISD teachers sat down with Governor Greg Abbott for one-on-one roundtable discussions about education issues including teacher pay, early education, special education and school finance. Comal ISD Board of Trustees President Cody Mueller noticed that the teachers took full advantage of the opportunity they were given to speak with the governor not only for themselves but for teachers across the state. “I am grateful for the opportunity to sit down with the governor who sincerely listened to us,” said Lanehart, special education team leader and head coach for the boys and girls track and cross-country teams at Smithson Valley High School. The teachers were impressed by Gov. Abbott’s interest in their questions and their feedback on the issues being discussed and believed he left with a better understanding of how they work together. For Torres in her 13th year as a teacher and sixth with Comal ISD, the governor seemed to really pay attention to what they were saying. While discussing teacher performance pay, Gov. Abbott began by talking about individual performance pay, but the teachers explained how individual performance pay did not accurately honor the work that they do together as teachers, as a team or, as collaborators. By the end of the discussion, he was looking at performance pay in a new light. Church Hill Middle School Principal Jaime Alvarez-Calderon, State Senator Donna Campbell, State Representative Kyle Biedermann, Comal ISD Board of Trustee Vice President David Drastata and Comal Board of Trustee Marty Bartlett were also in attendance, and all agreed that pay is an important key to attracting and keeping the best teachers in the classroom. “The bottom line is we are meeting with a very good school district with tremendous educators,” Gov. Abbott said. 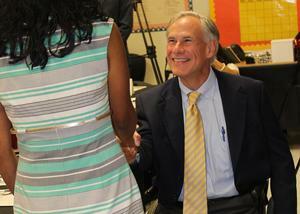 “I’m leaving here today more educated as we go back to Austin and begin to hammer out some very meaningful solutions. As we move into the next legislative session, my goal is to improve our school and improve education. The governor praised Comal ISD for taking measures to improve school safety and for being an example for all districts in the state when it comes to efficiency. For Drastata who has served on the Board since 2009, the governor’s visit was recognition of the district’s work over the past six years. “To me, this was a high watermark for our district. It is truly significant that he chose this district out of all the districts across the state,” Drastata said. “CISD is a shining example of what can be done when you have state finances the way they are, and whether we agree or disagree, we have managed as a school district to continue to find ways to grow in all areas, academically, extracurricular and in whatever context you want to look at.